M.C.R.T.C worldwide international CERTIFIED TECHNICIAN LEVEL 3 training course is a detailed step by step advanced 5 days, 40 hours of training focused on hands-on repair training which gives every individual the confidence and ability to repair all wireless devices.which include how to repair IPHONES,how to repair SAMSUNG,HTC,LG,MOTOROLA ETC… To achieve that, we provide a state of the art facility which is equipped with the best tools used in the cellular repair industry. Our program is based on the “Learn by Doing” model of instruction. This is an advanced level training class on all iPhones, iPods and iPads. 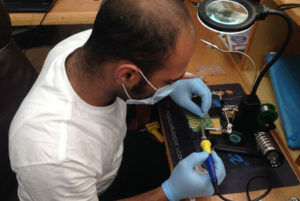 Detailed repair techniques on water damage repairs, advance reflow, soldering and trouble shooting. You also learn all the functions of the motherboard parts so as to quickly detect issues. 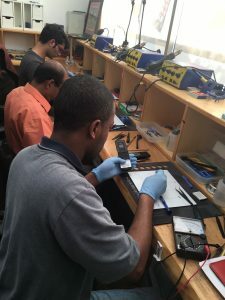 This is an advanced level training certification for LCD and Digitizer separation and remanufacturing. Detailed step-by-step dismantling and techniques used to remanufacture UV bonding LCD and Digitizer. Samsung full assemblies combined and iPhone full assemblies combined. 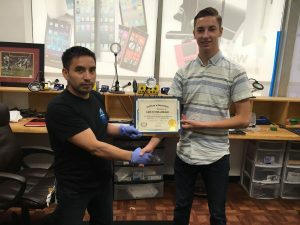 This is a 4 day detailed step by step hands-on training course on game console and tablets that teaches you all the techniques needed to do all repairs, including mother board advance reflow and soldering, power issues and parts replacement.